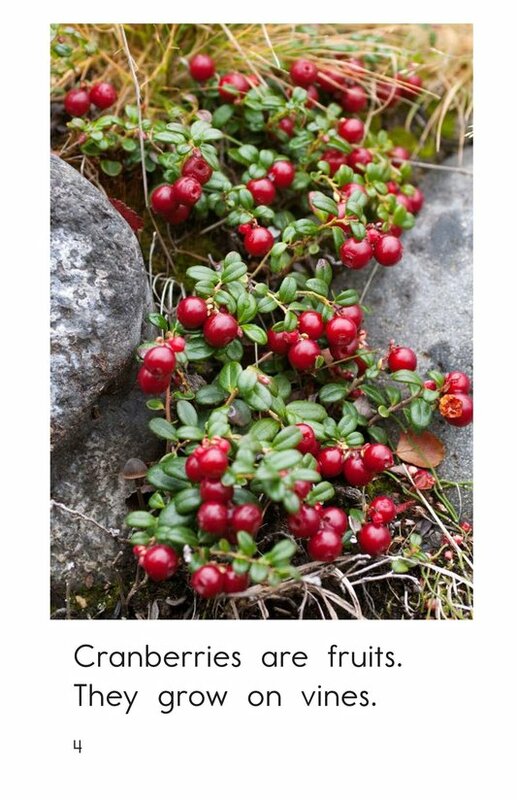 Cranberries are known for their tartness and deep red color. 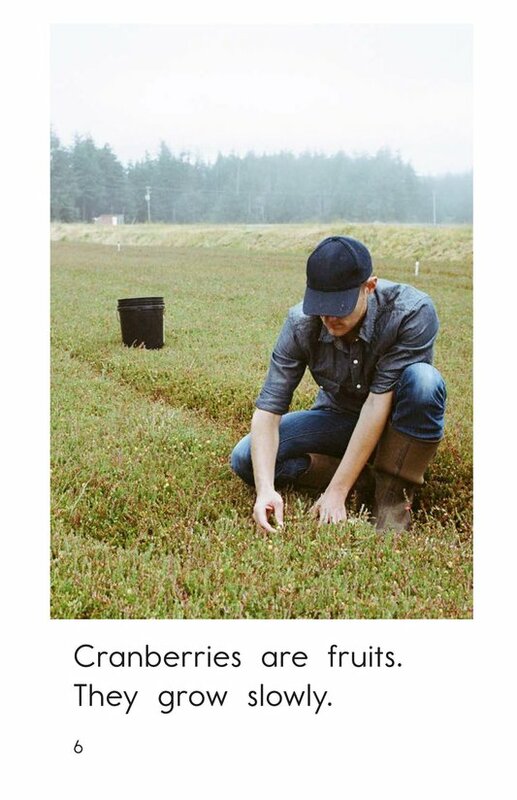 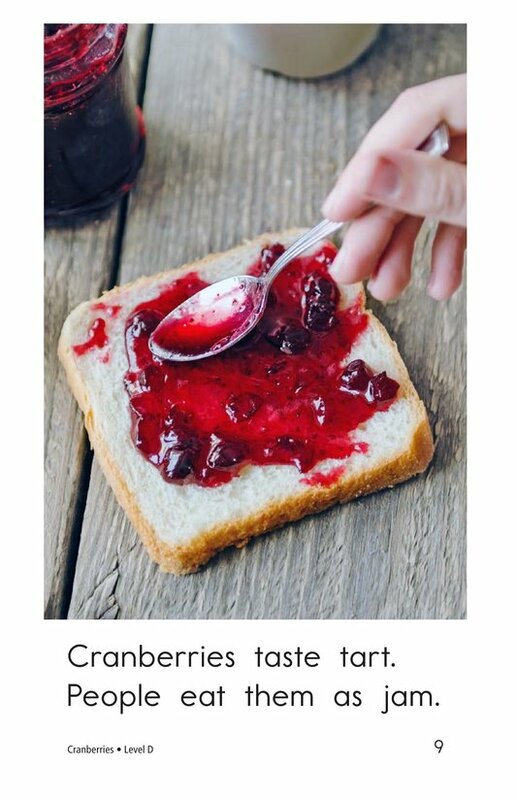 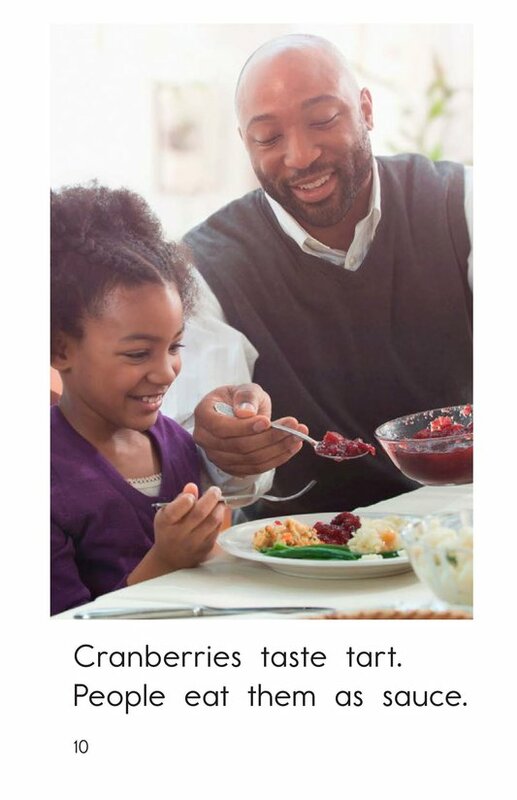 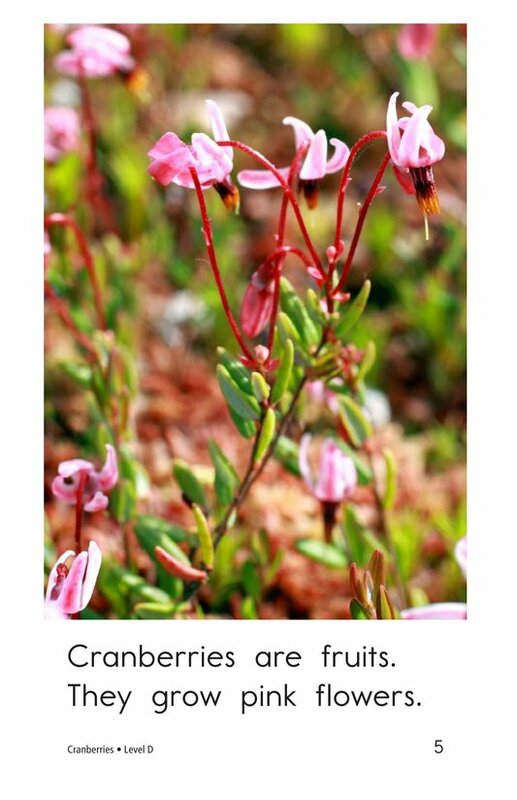 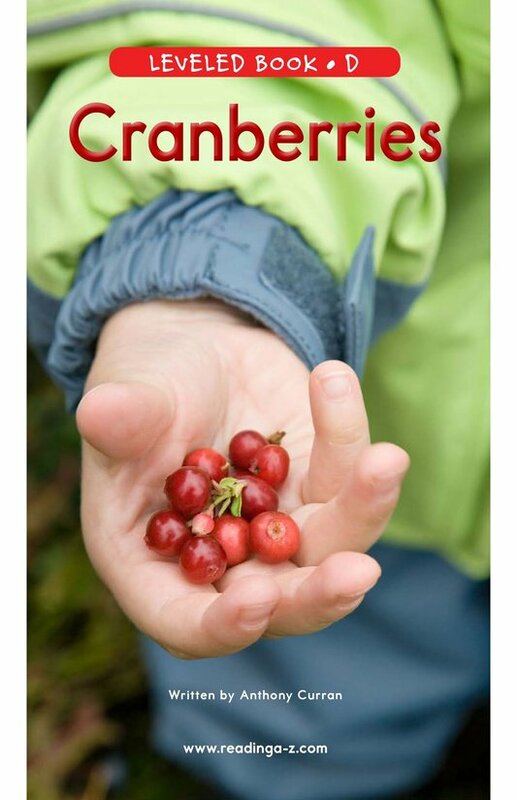 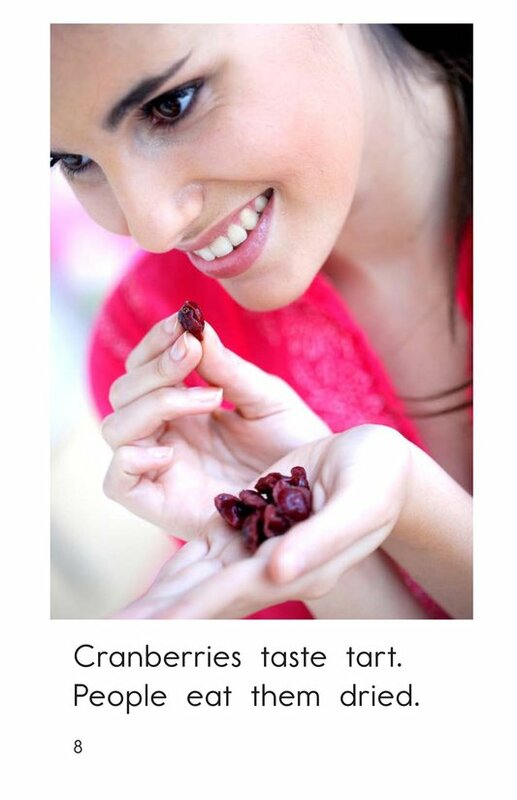 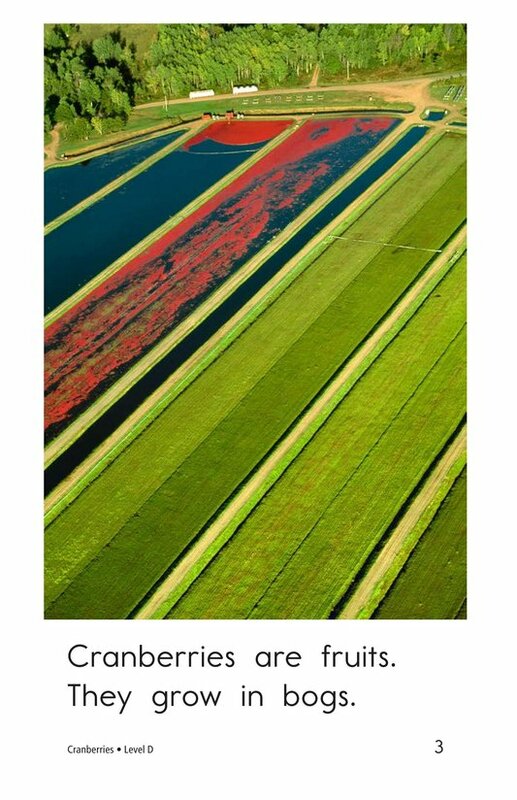 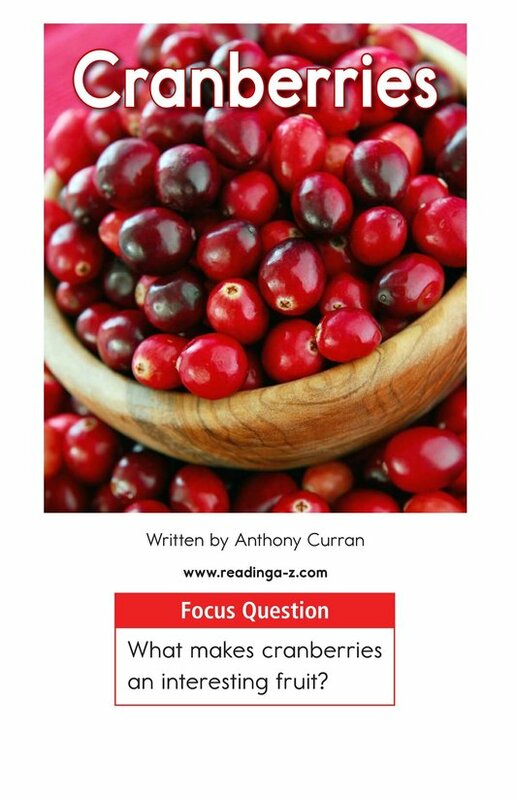 Cranberries provides students an introduction to this fruit, including information about where it grows, what it looks like, and various ways it can be eaten. 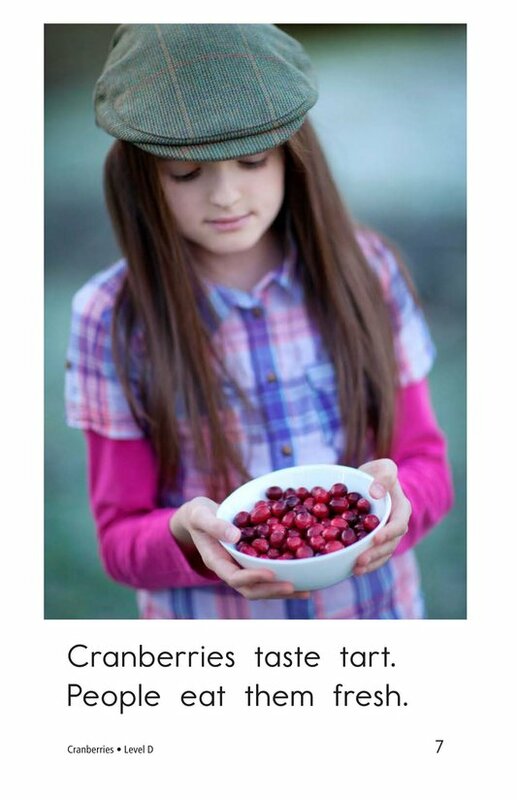 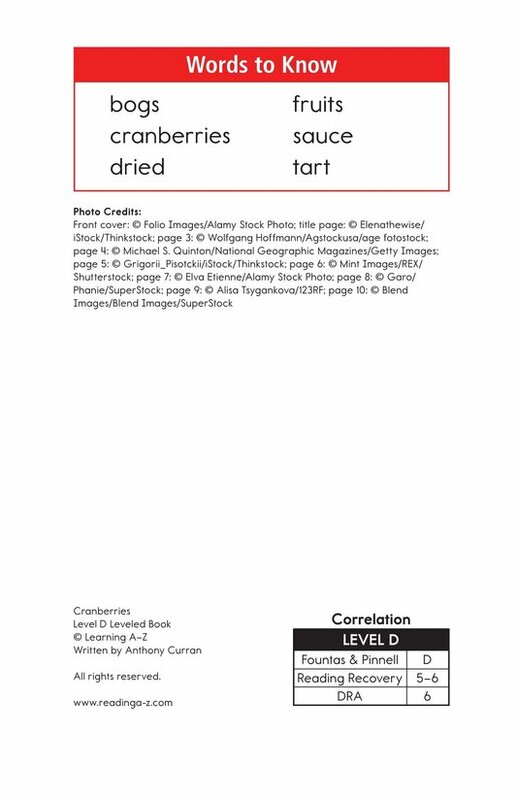 Vibrant photographs and a repetitive text structure will support beginning readers. 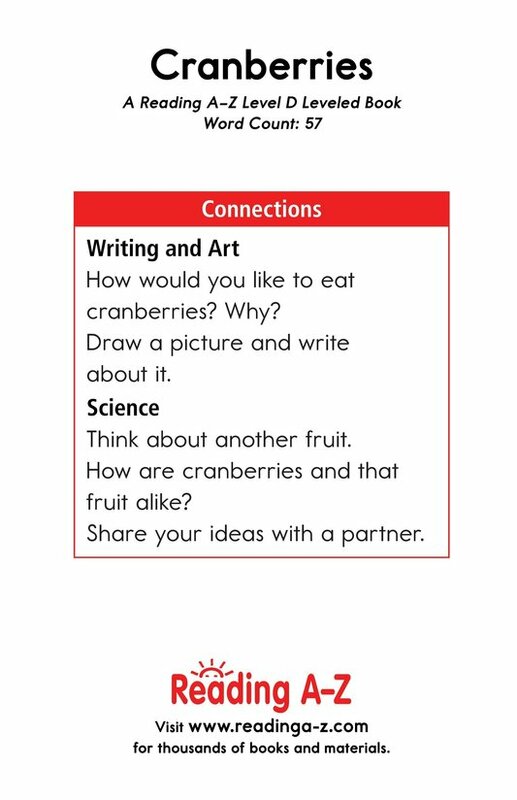 The book can also be used to teach students how to determine an author's purpose for writing and to place words in alphabetical order.